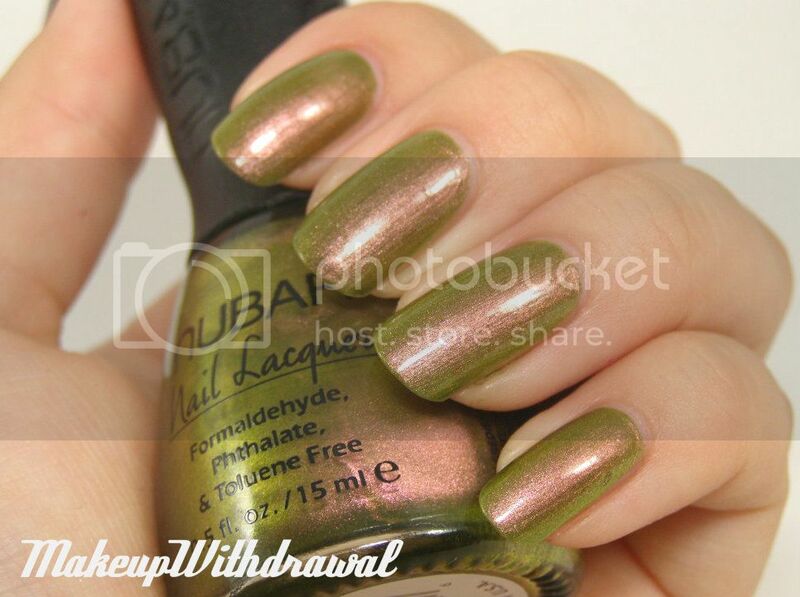 Looking back through my files, I found a bunch of polishes I bought a long time ago but forgot to share. Whoops! I have a pretty big backlog, so I'm going to try to work through some of them while I'm on vacation. This is Nubar Wildfire, aka possibly one of the most unique polishes I have ever seen. 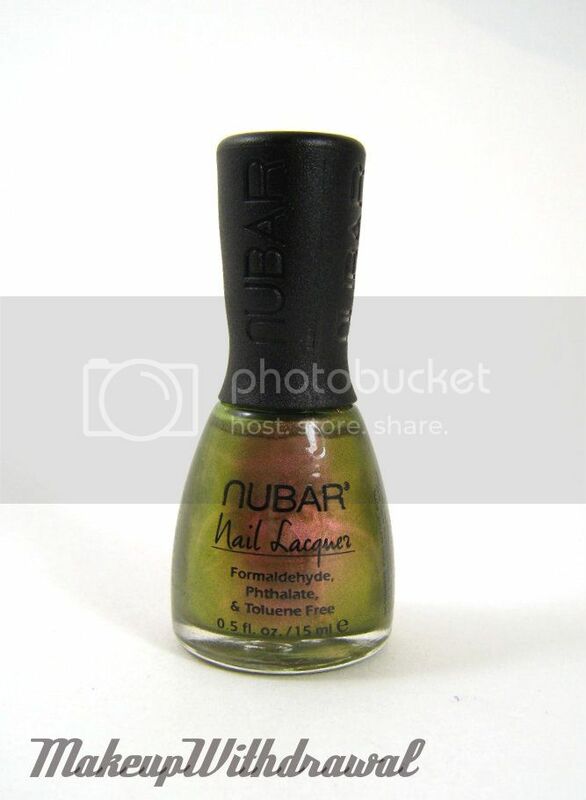 Nubar is quickly becoming one of my favorite brands with polishes that are really unusual. 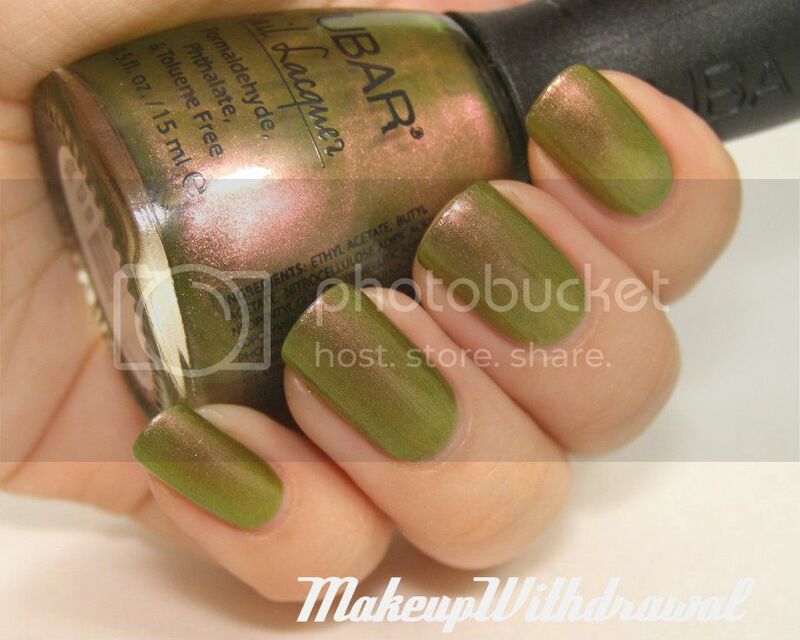 Wildlife has a spring green base, with firey orange- copper shimmer. The overall effect is a stunning and completely unique duochrome. This is one of the few polishes that I when I wear, I wear for a few days at a time so that I can gaze at the marvelous color combination. 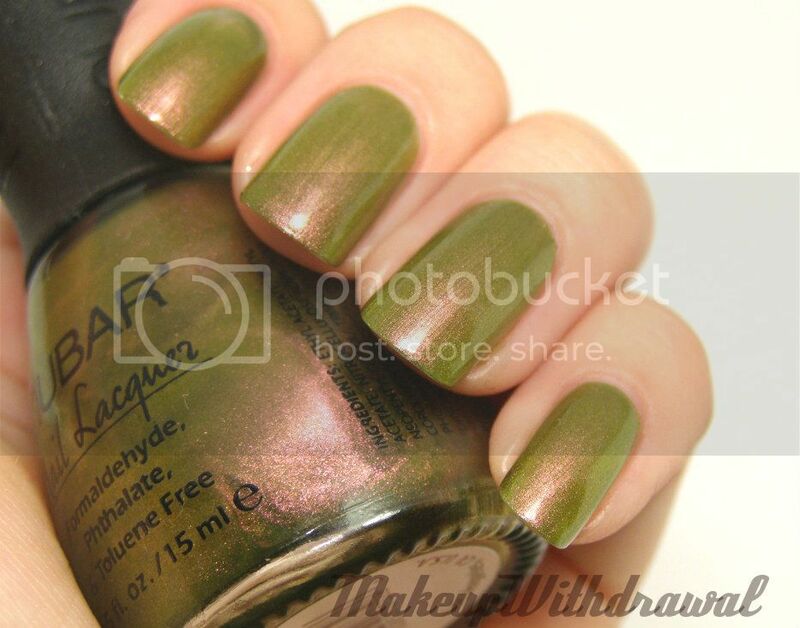 It's definitely a polish worth having! I bought mine on eBay with rewards dollars, but I remember it being around $7 originally. I don't really see many listings for it on eBay or Amazon any more, so if you ever see it- I recommend snatching it up! Products featured were purchased by me, for my own use. For additional information, please refer to my Disclosure Policy.